Gumowy uchwyt GOM pochłania drgania piły i zapewnia doskonałą przyczepność, nawet w mokrych warunkach lub podczas noszenia rękawic. 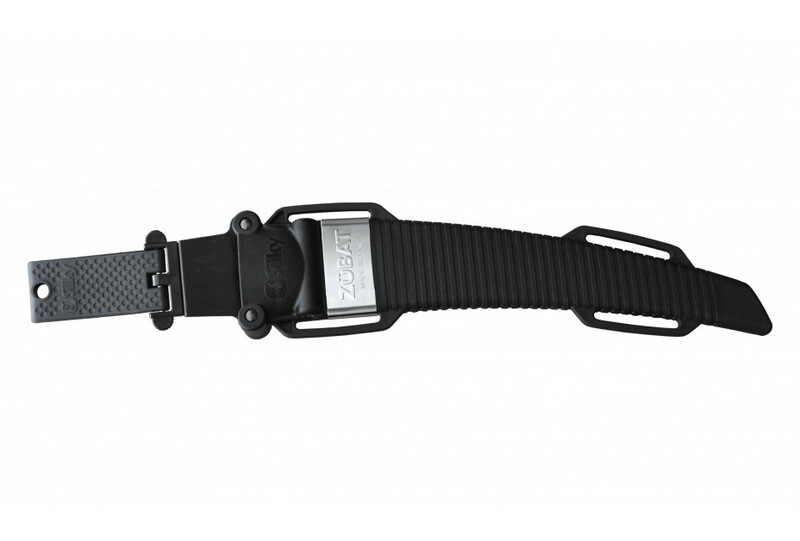 The Zübat is part of the basic equipment of every self-respecting arborist. 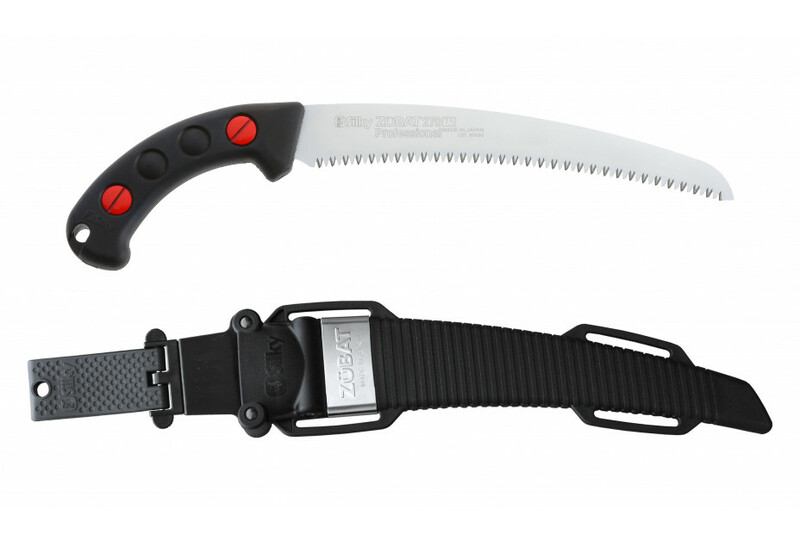 Among arborists, it is undoubtedly the most widely-used handsaw in the world. 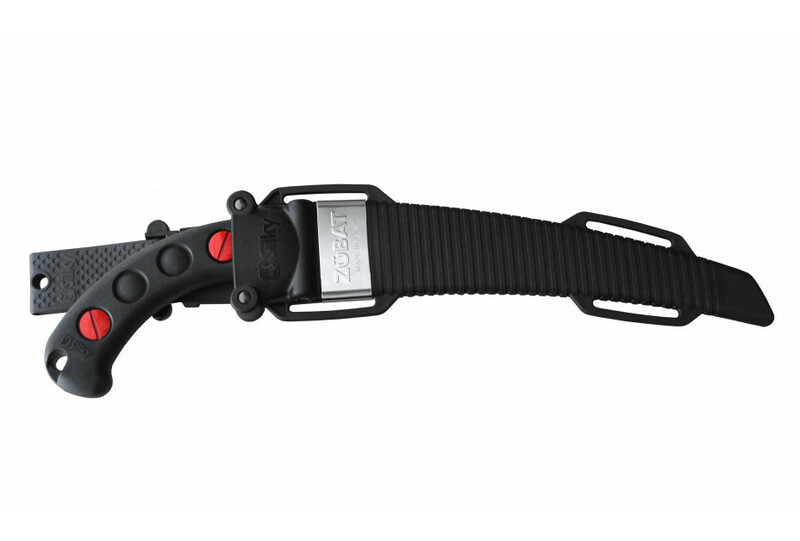 Not surprisingly so, as the Zübat is everything you could wish for in a pruning saw. 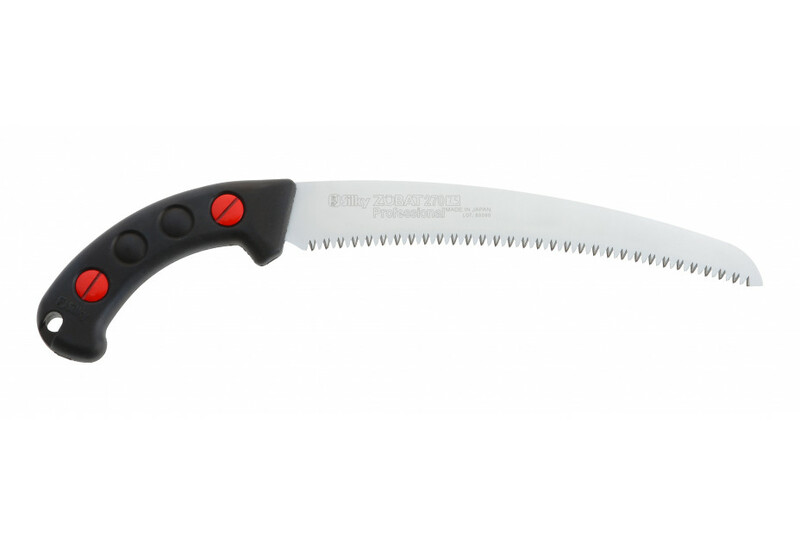 A versatile, powerful pull saw to be used during both precision pruning in tighter spaces and larger removals.